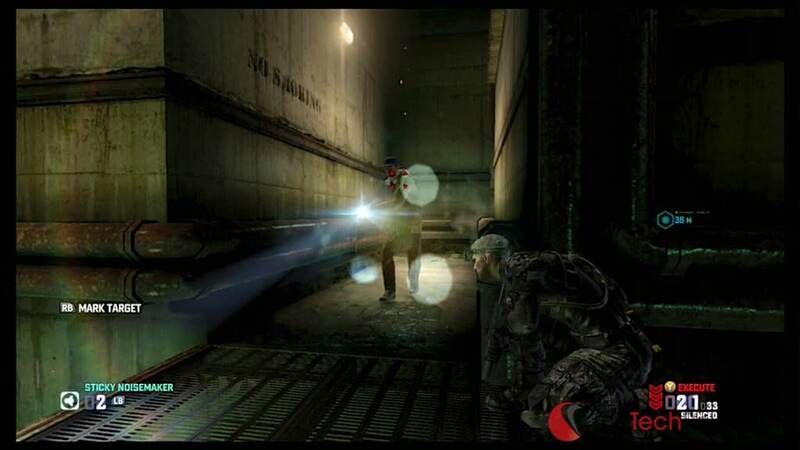 Splinter Cell Blacklist is the newest stealth-based game title from the popular Tom Clancy franchise. 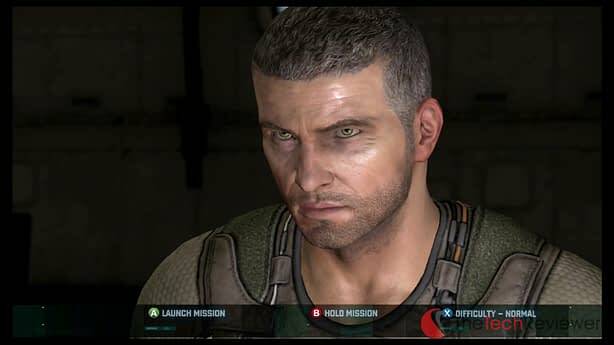 When the topic of stealth-based game titles is brought up, I instantly think of Splinter Cell and the main character Sam Fisher, who most gamers have all grown to love over the years. These titles have revolutionized the art of sneaking in video games and given players around the world the chance to take on the role as that spy you always see depicted in the movies. The latest title Blacklist was released just a few weeks ago and has improved many factors from the earlier Splinter Cell titles while keeping the core stealth gameplay consistent in the areas that make this series so great. I've put in around 50 hours playing Blacklist on the Xbox 360 thus far (combined time spent playing both single-player and multiplayer modes), so this review is based on my personal time experiencing this game. The last Splinter Cell title came out back in 2010 so the graphics have improved over the years. 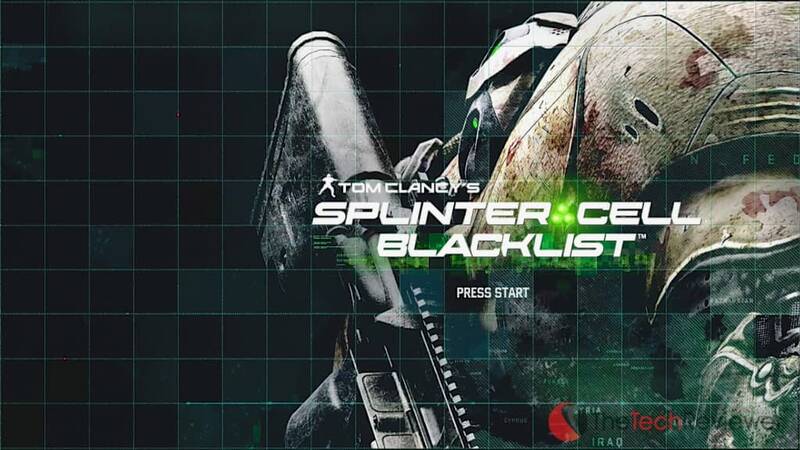 Blacklist features excellent textures, animations, and skins which make the game feel very real and intense. The environments are richly detailed, expansive, and well-designed which makes each mission unique and exciting. The lighting and shading structure is well-executed in Blacklist especially when you shoot out or switch off lights throughout the campaign. Performing actions like this alters the events in the game, but also looks stunning in the process as each character model, texture, and detail adapts to the change in lighting with unbelievable accuracy. The detail put into each character is impressive especially when it comes to the online feature. Both the Spys and the Mercs player models look awesome and very life-like. Each piece of equipment or gear you customize for your online character differs greatly in appearance and you can clearly tell Ubisoft took their time making this game look excellent. The cinematics are also top-notch by combining excellent graphics with a believable storyline, interesting dialogue, and well-chosen voice actors. I've never been one to take the time to watch the cinematics, but Blacklist's was done so well that I felt as though I wanted to and it did help me get more into the storyline. Now if you were familiar with Splinter Cell Conviction, you will realize quickly that Ubisoft has completely revamped the controls for Blacklist. Coming from my perspective, this is for the better and the new controls feel much more fluid than the previous setup. Due to this comfort in controls, I've found myself being more risky and opting for more dramatic, complicated take-downs than previous titles which makes the game more pleasing to play and truthfully makes you feel like more of an inner bad***. 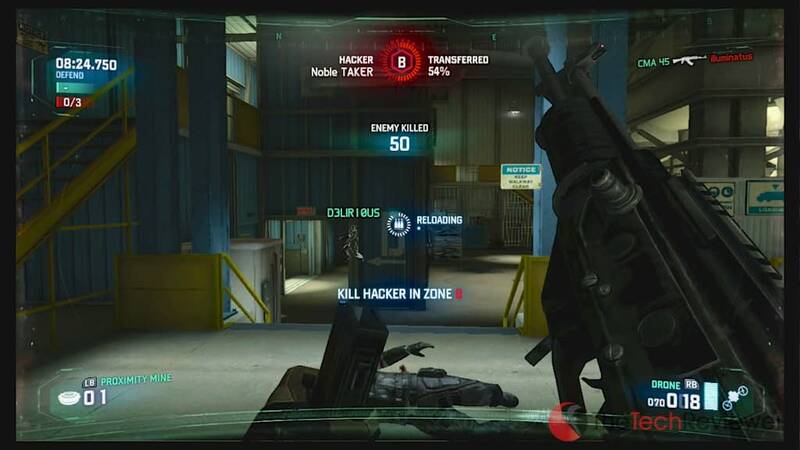 Although the single-player campaign is strictly a 3rd-person format, the online portion of Blacklist features the ability to play as a Merc whom is controlled from a first-person point of view. This is no difficult task for veteran game developers Ubisoft as they have covered the first-person shooter genre with popular titles like FarCry 3 and Rainbox Six: Vegas 2. The first-person controls feel like they are taken directly from FarCry 3 which is great thing in my opinion as they are easy to pick up and feel like the ultra-popular Call Of Duty series. I will note that the default first-person look sensitivity is rather low so those of you who like a quick turning radius will need to manually up the sensitivity (which can be done easily through the settings). As you progress throughout the game both in single-player and online multiplayer game modes, you'll want to unlock better, more advanced equipment. This is done by utilizing the in-game currency much like they did in Call of Duty. 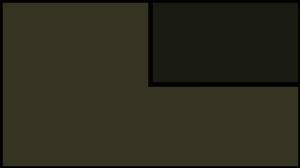 The currency is earned by completing single player missions and challenges as well as competing in the online multiplayer. The currency in universal meaning money earned in single player can be used to buy multiplayer gear and vice versa. I like this currency system especially for online although I think it is a bit too easy to earn money. 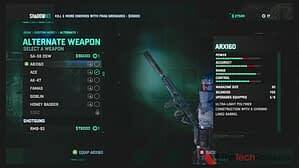 For example, a fully maxed out weapon (base gun+ 4-6 attachments) costs around $130-150,000 which only takes a solid game online or a mission in the single player to earn this amount of money. The single-player player customization requires you to buy each piece of equipment in succession. This means in order to get the best googles will be required to purchase the 10 weaker ones before them. For the multiplayer, you are able to unlock whatever piece of equipment you'd like right off the bat if you have enough funds available. Keep in mind, some equipment is unable to be unlocked until you reach a certain level especially for the case of the elite gear. Unlike some other games, the best equipment for multiplayer is not necessarily the most expensive or hardest to unlock so the game is more balanced than you'd think. Splinter Cell Blacklist has an in-depth single player campaign as well as a series of missions offered for either single-player or cooperative play, and lastly there is a series that strictly cooperative play only. The base single-player campaign is solid and an enjoyable play-through although it does seem a bit scattered at times. It may not have been my favorite storyline from the Splinter Cell series, but it was one of the most enjoyable to progress through likely due to how comfortable I was with the new controls. The series of mission that can be played coop or single-player are typically short and do not offer checkpoints throughout the mission so you'll be starting from square one if you accidentally sound the alarm or mess up the objective. This can be really frustrating especially if you get stuck completing the last aspect of a level. On the other hand, it is challenging and requires you to have excellent communication with your teammate (if you choose to not go into them alone). The main disappointment with these missions was their lack of originality. As you went down the line, the mission objectives got repetitive and were not as fun to play the 2nd or third time around. Lastly, the coop only missions were more enjoyable and were well-executed from my perspective. I prefered to play with a friend which you are able to do both via split-screen (Xbox 360 and PS3 only) as well as online. 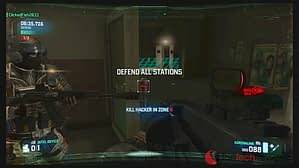 Being able to gear up with one player equipped with an SMG and the other utilizing a high-powered sniper rifle seemed to be the best combination for most levels and this made the teamwork aspect seem that much more critical. Adding in the fact that there is coop specific actions like dual-breach as well as several others, it was great fun to enjoy these missions with a friend. You can play through the missions in whatever style you'd like, but there is a built-in scoring system that will track your every move and credit you with points from 3 different categories of playing styles. The first category is Ghost which credits you with points for staying stealth and taking down your enemies in a non-lethal fashion. Sticking to the Ghost category will gain you the most points as it is the hardest to accomplish successfully. The second category is the Panther which is for those who want to stay stealth, but still use lethal actions such as head-shots with a lethal weapon. This category gives you the medium amount of points and is still difficult to accomplish at times. 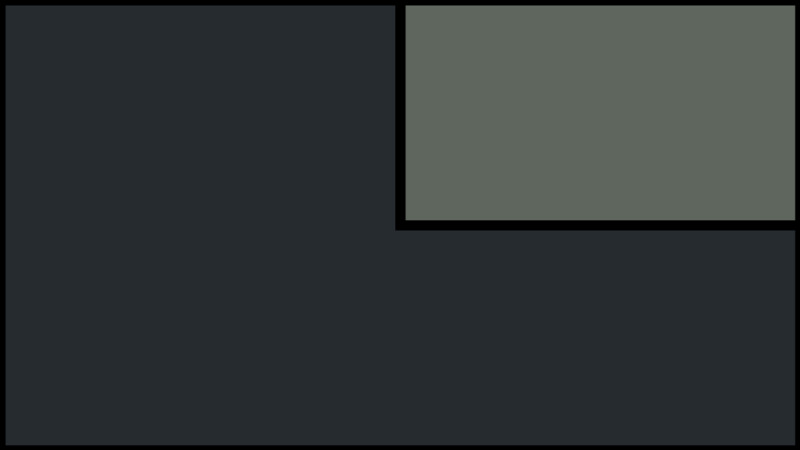 Lastly, there is the Assault category which is for loud and lethal actions without the need for stealth tactics. This is the easiest method of completing the missions therefore awards you the lowest amount of points. Blacklist uses online play (Xbox Live, PSN, etc.) for both cooperative and versus modes. 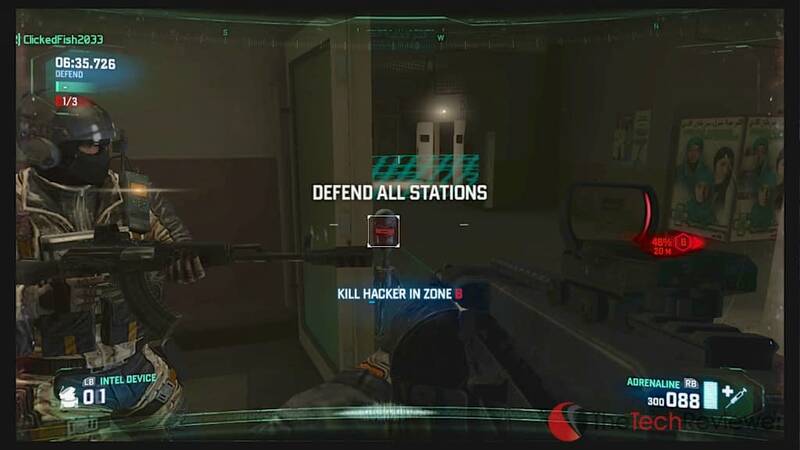 The versus play brought back the beloved ‘Spys vs. Mercs' game modes that Splinter Cell fans loved from previous installments in the series. 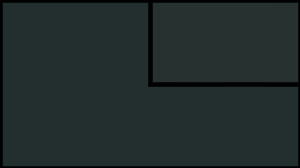 They took this core concept and ran with it, resulting in an evolved form of the traditional game modes that pushes the boundaries in terms of originality. To sum it up in a brief sentence, Blacklist's online versus modes are creative, addicting, and ridiculously fun. Playing from both sides of the spectrum (Mercs as well as Spys), there is no equivalent to the type of gameplay this game contains. The rush you get when playing as a Spy and sneaking up on a real-life Merc opponent has your adrenaline pumping and can't get any more exciting. It does not feel like the generic Call of Duty type gameplay that every game seems to mimic nowadays and truly keeps you on the edge or your seat at all times. The same goes for being a Merc and searching for Spy who just hacked your terminal, knowing that he could be behind any corner ready to lunge at you and take you out in a mere seconds. 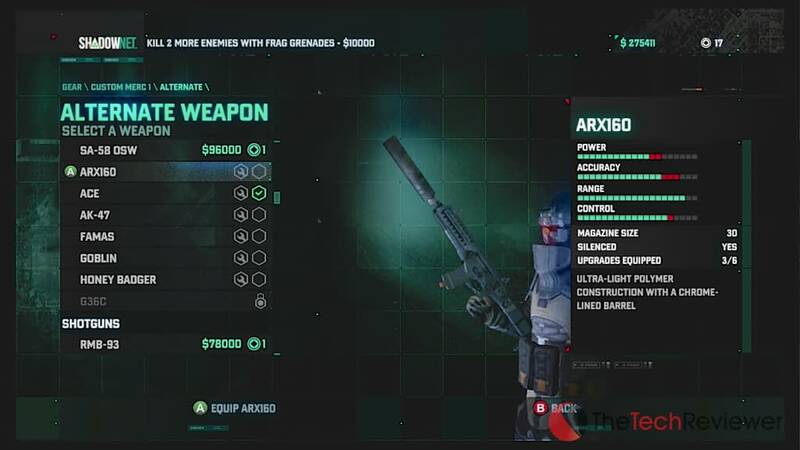 Some other aspects about the online game modes that I loved was the currency structure (which I previously discussed), the in-depth player customization, plethora of available guns and gadgets to choose from, and the large, highly-detailed maps. Major bugs – the game launched with some serious bugs especially in cooperative and versus modes. 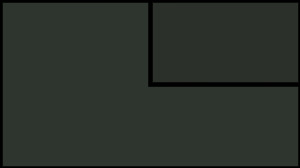 At times,you'll see players whom are lying on the ground and appear dead yet, but are still able shoot you and kill you. I've also been a Spy and been unable to kill a Merc as the game did not register correctly causing the melee attack to not work correctly (instead causing me to run directly though the Merc's body). Other times, you'll die and the game will not allow you to respawn thus allowing your opponents to finish the objective without any resistance. Host migration – there is supposed to be a built-in “host migration” feature (like COD) which will pick up a new host if the current one were to leave. Unfortunately, this feature does not work and causes the game to end whenever the host leaves without rewarding players with any experience, money, or stats from that particular game. This is extremely annoying when you have a solid team of 4 as you'll find yourself faced against weaker opponents who quit e game after game which ends up punishing you as you'll never rank up or earn any money. Unbalanced teams – often times you'll find yourself going into a multiplayer match down a man therefore playing 3v4. The issue with this is that it is rare to have a 4th person connect which forces you to play with a handicap and usually results in being outmatched due to sheer manpower. I would have love to have seen Ubisoft integrate some sort of shortened respawn time to even out the disadvantage or just come up with a better algorithm to have a player join the match mid-game. Map issues – there is only 6 maps that you'll find within the Spys vs. Mercs game modes. I was hoping for a bit more as it gets fairly repetitive only choosing between 6 maps. Another issue I found was that many players are exploiting the spawn points (they are too predictable) which causes severe frustration as there are times where you cannot spawn without being killed instantly. Don't get me wrong, the multiplayer is tremendously fun, but it has its weak points due to the aspects mentioned above. This is disappointing as the multiplayer has an immense amount of potential due to its originality and stellar gameplay. Overall, I found Splinter Cell Blacklist to be a refreshingly solid game overall and I enjoyed every minute I spent playing it. You really can't find any titles on the market that offer the same type of unique gameplay and the revamped controls are a breeze to get the hang of. Unfortunately, the multiplayer is still very buggy and needs the kinks worked out in order for it to shine like the potential it has. If you're a fan of the previous Splinter Cell games or just want to switch things up from the generic “Call of Duty style” titles then Splinter Cell Blacklist is a great contender to do just that. I do recommend this game title to any prospective buyers and believe the total package is well worth the money.